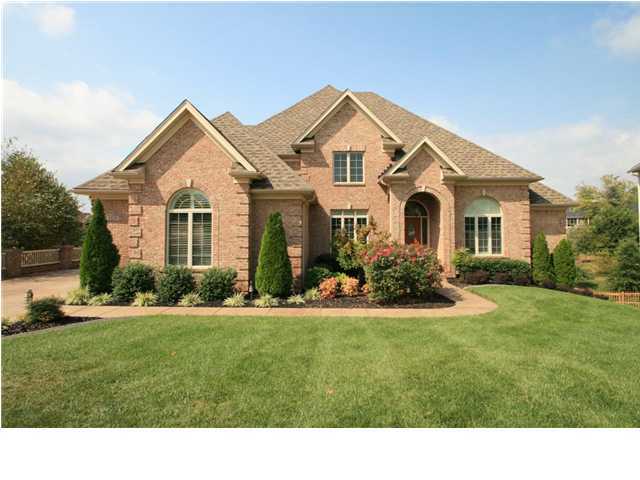 Homearama 2012 at Rock Springs and Shakes Run | Louisville, Kentucky | Joe Hayden Real Estate Team - Your Real Estate Expert! The highly-anticipated Homearama 2012 is coming to Louisville starting on July 14th through the 29th. This year’s architectural dream homes will be displayed at the prestigious Rock Springs Subdivision located between Brownsboro and Westport Roads, plus the luxurious Shakes Run Subdivision off of Shelbyville Road near Eastwood. These neighborhoods are known for their unique architectural styles that create some of the finest homes in great locations. The Homearama homes on display were carefully planned to create award-winning designs and built with safe, stable construction methods. Homearama chooses a distinguished community in the Louisville area each year, and this year two communities were selected - Rock Springs and Shakes Run. Both subdivisions were recognized as offering an investment that adds to the quality of your life. These homes were built by professional builder members of the Home Builders Association of Louisville (HBAL). When viewing these live in works of art, you and your family can expect to see only state-of-the-art designs that utilize the best materials for construction. These homes have Energy Star appliances and advanced HVAC systems to add value and savings to the home. Not to mention, perspective homeowners can choose from a variety of inviting interior options and custom designs. You can even choose your own custom cabinets to display you best china, or hide away your everyday dishes. Homearama is a must-see event whether you are looking to build a new home, find a dream home, checking for remodeling tips, or just browsing new decorating ideas. This year’s hosts offer an easy commute for those attending. Rock Springs is located just a few minutes from the Gene Snyder, offering easy access to several golf courses, Tom Sawyer State Park and downtown Louisville. Shakes Run is located just off Shelbyville Road near Eastwood, conveniently located near the Gene Snyder Freeway and I-64. Plan on enjoying a day at each one of these great neighborhoods and discover why Homearama is such an important part of the Louisville Real Estate Market.